A young British novelist, Jaqueline Allsop, shows readers that love and romance can happen anywhere. There’s no need to go online for matchmaking help if you just keep your eyes, and heart, open to people you see every day. Allsop’s debut novel, The One Who Makes My Heart Race, is based on personal observances. From her time spent working in an office, she saw the romantic love most young single people search for happen again and again. So much so, that she has now penned a book about it. The One Who Makes My Heart Race, is her first attempt at entering the world of fiction. Allsop hopes to prove that clock-watching is often the last thing on any office worker’s mind. Allsop’s heroine, Shelly, is approaching 30. She has settled into a nice routine with a steady boyfriend when an unexpected upheaval badly upsets everything. Her office pals Colin and Alberto are the ones she depends on for advice and friendship as she tries to get her life back on track. Some of Shelly’s antics and mistakes reminded this reader of another favorite British lass, Bridget Jones. Shelly is quite lovable and just as good (or bad) at making decisions or reaching conclusions as BJ. 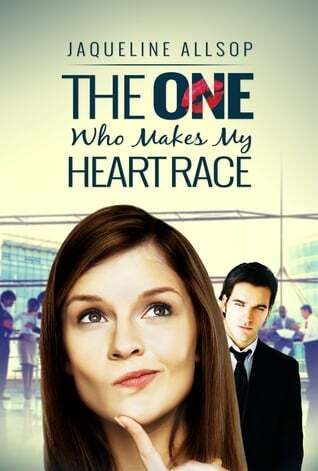 ‘The One Who Makes My Heart Race’ is available at Amazon – and iTunes.